Pregnant and breast-feeding women make important dietary decisions every day based on sound advice from their health care providers. A growing body of research indicates that DHA, docosahexaenoic acid (an omega-3 fatty acid) is very important during this time. DHA omega-3 is found throughout the body, but is most abundant in the brain, eyes and heart. In fact, DHA represents about 97% of all omega-3 fats in the brain and 93% of all omega-3 fats in the retina. It is important prenatally and postnatally for optimal infant brain, eye and nervous system development. However, developing infants cannot efficiently produce their own DHA and must obtain this vital nutrient through the placenta during pregnancy and from breast milk after birth. Maternal DHA supplementation during pregnancy and breast-feeding significantly enhances the level of DHA available to the fetus and infant and may improve certain developmental outcomes. Additionally, some research suggests that adequate levels of DHA in the maternal diet may play a role in helping a mother’s emotional well-being after birth. A person’s DHA levels are diet dependant. The primary dietary sources of DHA are fatty fish and organ meats. Both Omega 3 and Omega 6 Essential Fatty Acids (EFAs) are essential but our body requires them in a ratio that is not normally achieved by the typical diet of today's industrialized nations. They must be consumed regularly as the body has limited storage for them. International health experts for pregrnancy and lactation recommended that pregnant and breast-feeding women consume 300mg of DHA per day. A growing awareness of the dietary sources of DHA and the inclusion of DHA into a growing number of prenatal supplements are making it easier for women of childbearing age to include this important nutrient in their diets every day. to meet your nutritional needs during pregnancy and breast-feeding. Scientifically formulated based on WHO and ISSFAL recommendation. Only 1 soft gel vegetable capsules (250mg DHA) daily. Neurogain® PB is DHA high, EPA low with AA and OA to help Pregnant and Breast-feeding women meet important pre and peri natal nutritional requirements in essential fatty acids. DHA omega 3 support brain & eye development. Free from Evening Primrose Oil (EPO) as EPO may be harmful to fetus and induce labor. 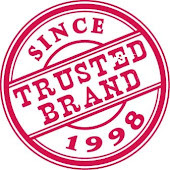 Trusted Brand since 1998 with improved formulation over the years. ** ISSFAL stands for “International Society for the Study of Fatty Acids & Lipids” an independent international organization of experts in this complex and rapidly changing field. ** WHO stands for World Health Organisation.